Exfoliation is the KEY for Glowy, Dewy Skin! 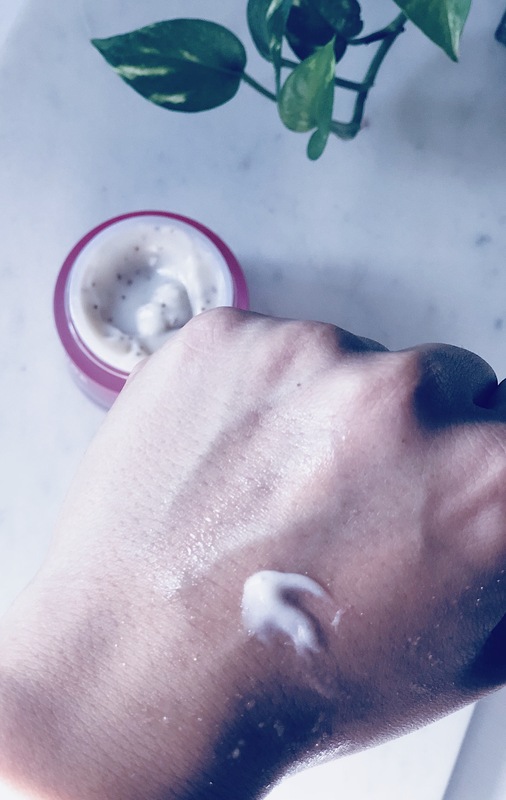 Did you know that exfoliating your skin not only eliminates the dead skin cells but also refines your pores, polishes your skin and smoothes out wrinkles?! As someone who has suffered from adult acne, I always thought to exfoliate my skin was a big no-no as it would just aggravate my skin’s condition, especially in the case of physical exfoliants. Little did I know that exfoliating (gently) would actually help to reduce acne and also hyperpigmentation as it speeds up cell turnover. 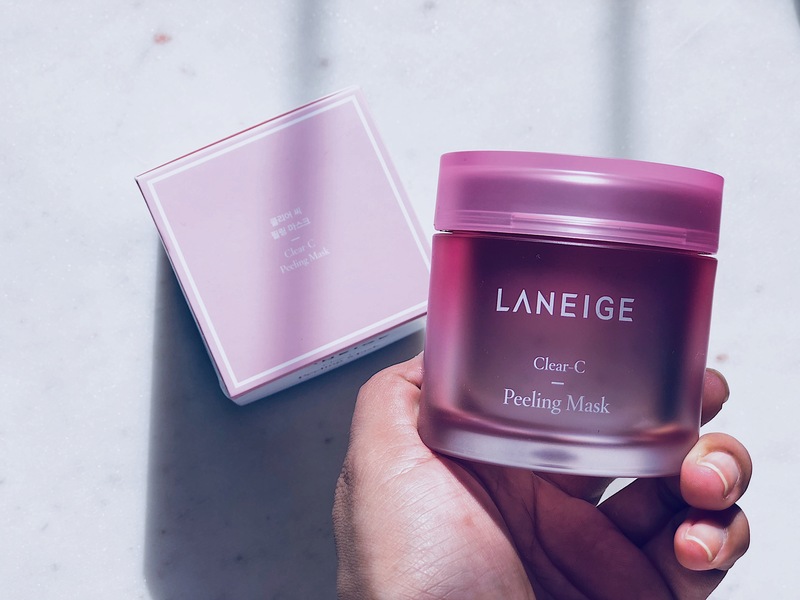 On a recent trip to Hong Kong, a Sales Assistant in a SaSa store recommended I try the Laneige Clear-C Peeling Mask and I have been using it for a few months, so I felt it was a good time to do a full review on this product. Let’s dive straight into the review and my thoughts on this peeling mask. How gorgeous is this pink packaging?! 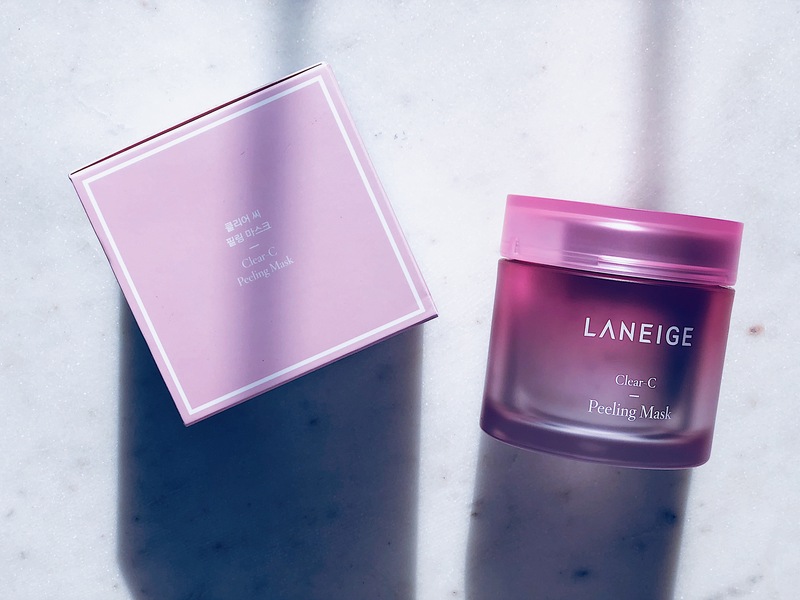 As you can see, the product is housed in a gradient pink plastic jar with a twist lid. 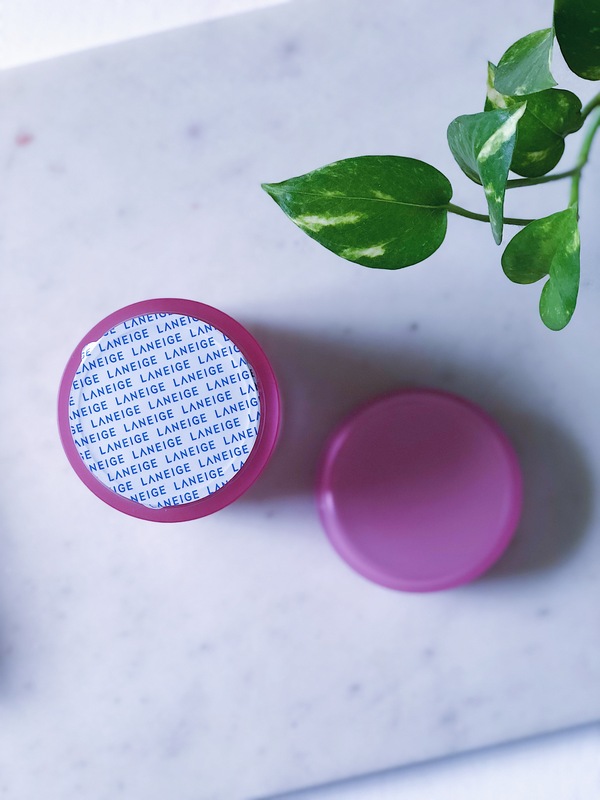 There’s a seal protecting the balm and once you open the lid and break the seal, you can see the product underneath. I love how there is a spatula (for scooping out product) provided separately in the packaging…so no need for dipping your fingers or nails directly into the jar. 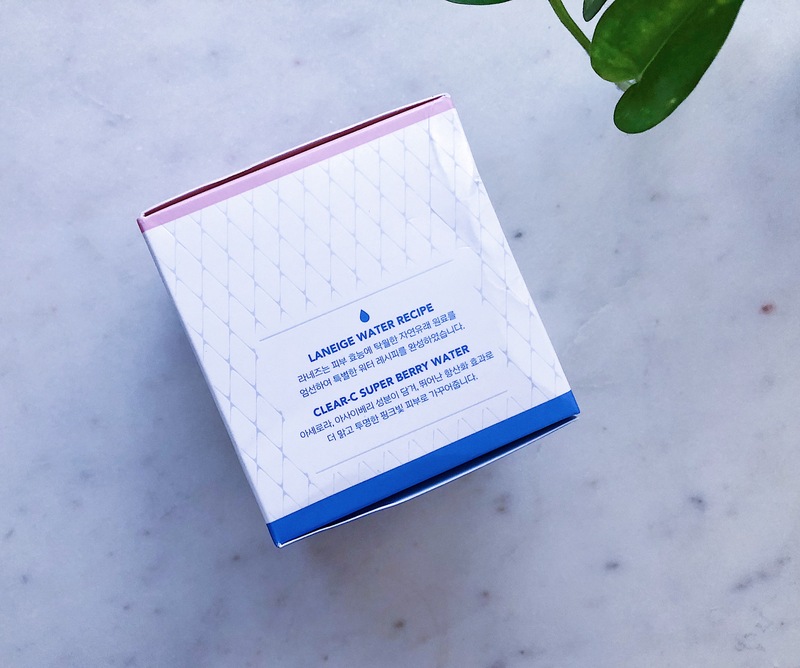 The packaging feels very sturdy, however, I wish they had given a separate lid to cover the product and keep it separated from the actual lid once you break the seal open…I hate it when things get into the lids and caps of skincare packaging. 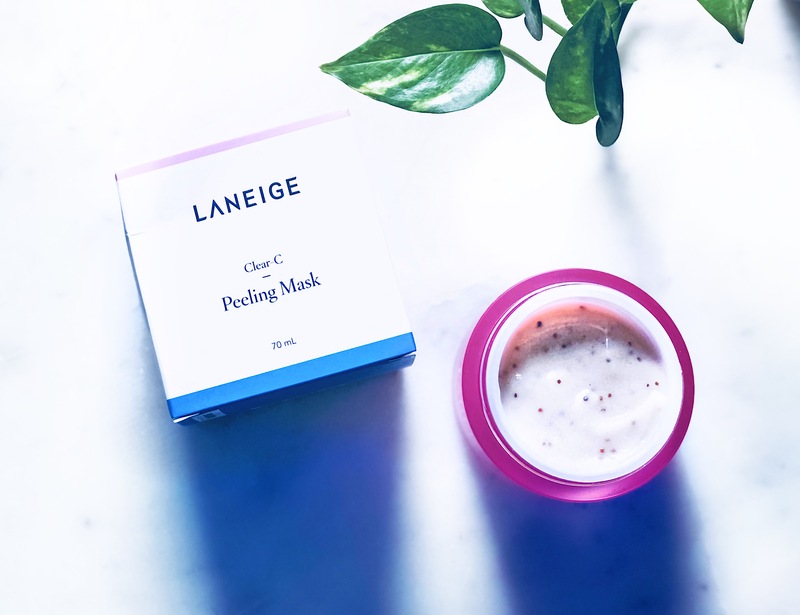 The Laneige Clear-C Peeling Mask feels like a true hybrid between a face mask and a traditional scrub. As you can see from the pictures, the texture looks somewhat like yoghurt (that’s the best way I can describe it!). It is creamy and soft in texture and then you have the grainy scrub particles mixed into the formula. The mask is slightly thick in texture, which I personally like because I can spread it evenly on my skin. Also, it has a very fresh and mild sweet scent. It contains ingredients like strawberry seeds and jelly-like soft konjac granules to help gently exfoliate your skin. As with all other Laneige Clear-C line products, this too contains different plant-derived AHA malic acids. You can read more about it in the CosDNA Analysis. This is a simple product to use. Apply the mask to freshly washed and dry face. Massage the product gently, avoiding the eye and lip area. Wash off using lukewarm water and apply your usual skincare products. You can use this mask 2-3 times in a week, depending on what your skin needs. 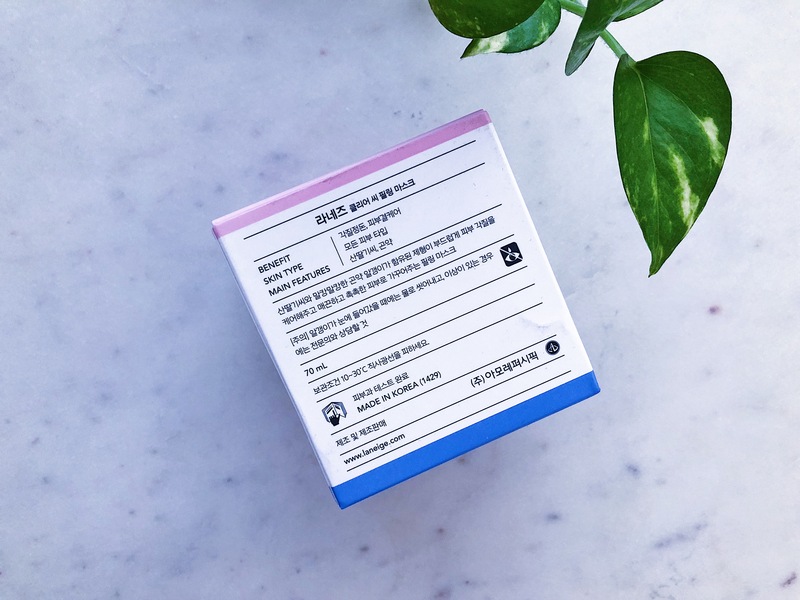 I would recommend you NOT use any additional AHA or BHA products on the same day as you use this mask since it already contains Malic Acid, which is an AHA. 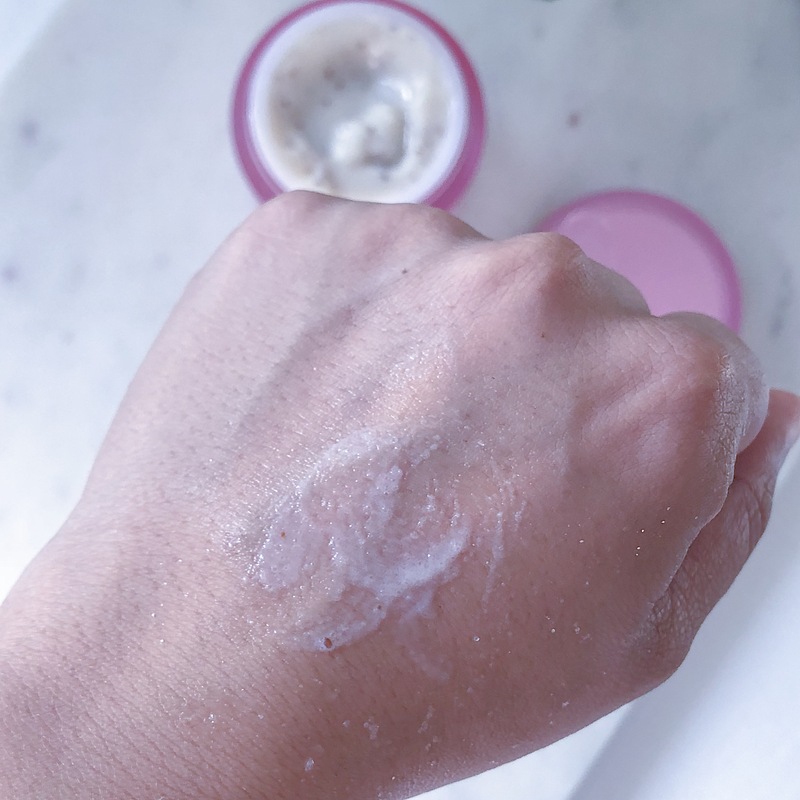 The first time I used this mask, I was a bit confused because I was expecting to see a thin traditional mask that is meant to be left on the skin for at least 10-15 minutes, not a creamy and grainy textured mask. To be honest I wouldn’t call this a peeling mask and I feel those words are very misleading for this product. This, for me, is a gentle scrub. Having said that, I must say that the product in itself is wonderful and gives me instant results. Like I mentioned before, I do not use this as a traditional scrub (on a wet face), but prefer to use it on dry skin and I also like to leave it on for about a minute or two before I jump in the shower and start to gently massage it into the skin before washing it off completely. 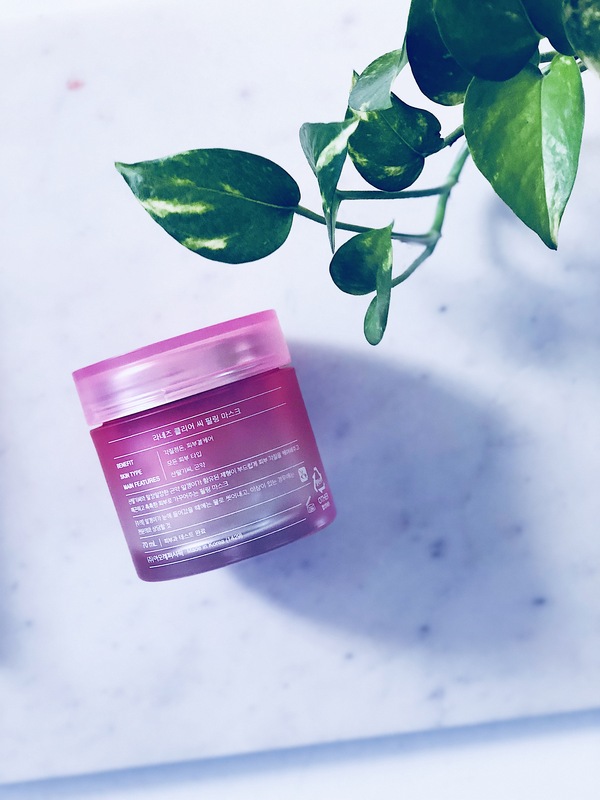 The mask feels very gentle on the skin, yet you can feel that the tiny granules are actually getting rid of all the dead skin and gunk on your face. It’s a very satisfying feeling! I’ve been using this mask once a week for over a month now and every time I use it I can see my skin looks brighter and my skincare products soak in really nicely afterwards. 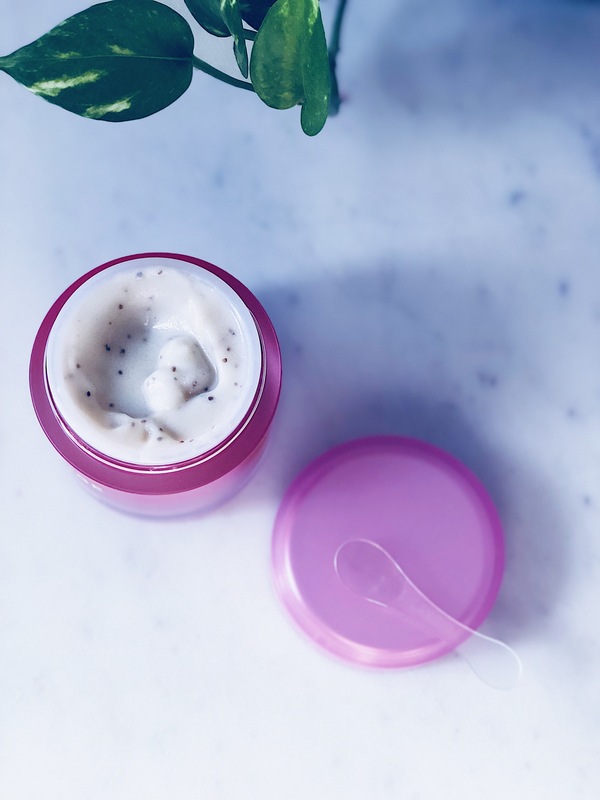 I think this would be a fantastic scrub for even the most sensitive skin, however, if you are someone who enjoys using very coarse and thorough scrubs, then this might not be for you. Would I repurchase? Definitely, YES! 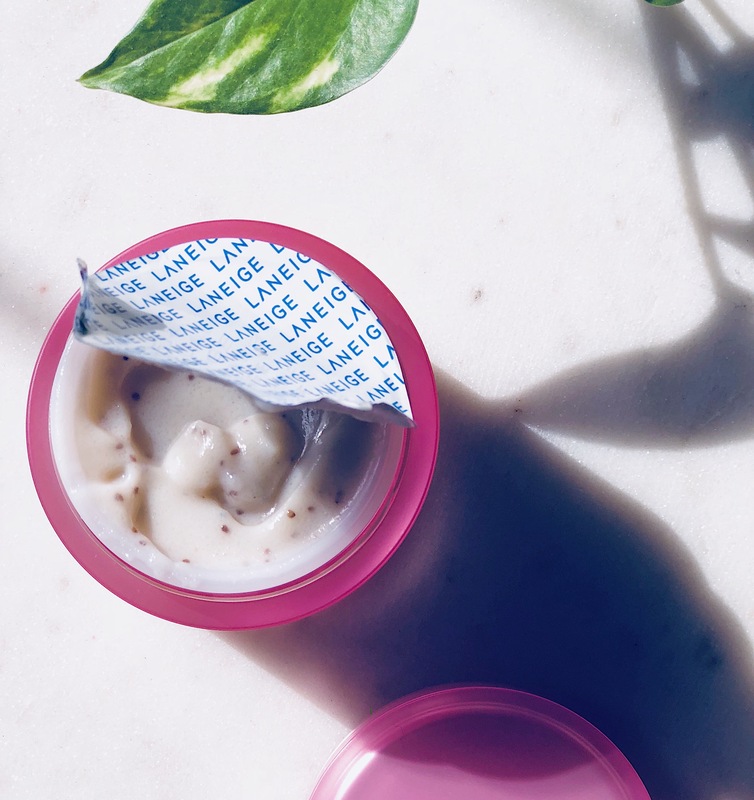 Have you tried the Laneige Clear-C Peeling Mask or any of their other products? Do you have any recommendations or favourite peel-off masks and scrubs? Leave me your thoughts in the comments below!